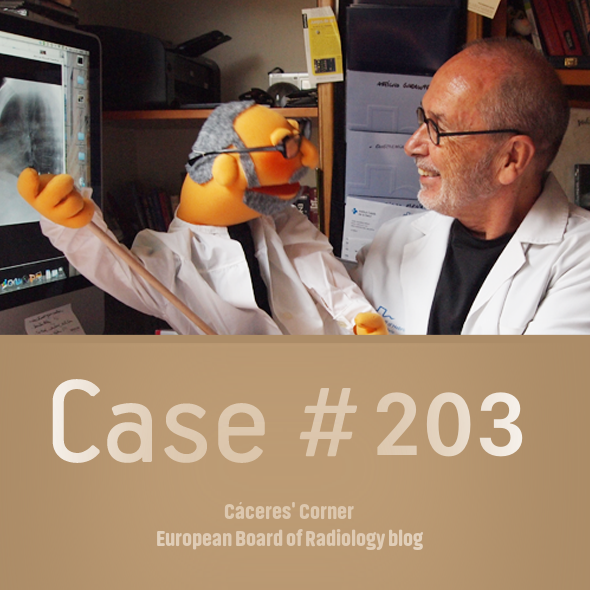 Cáceres’ Corner Case 203 – SOLVED! 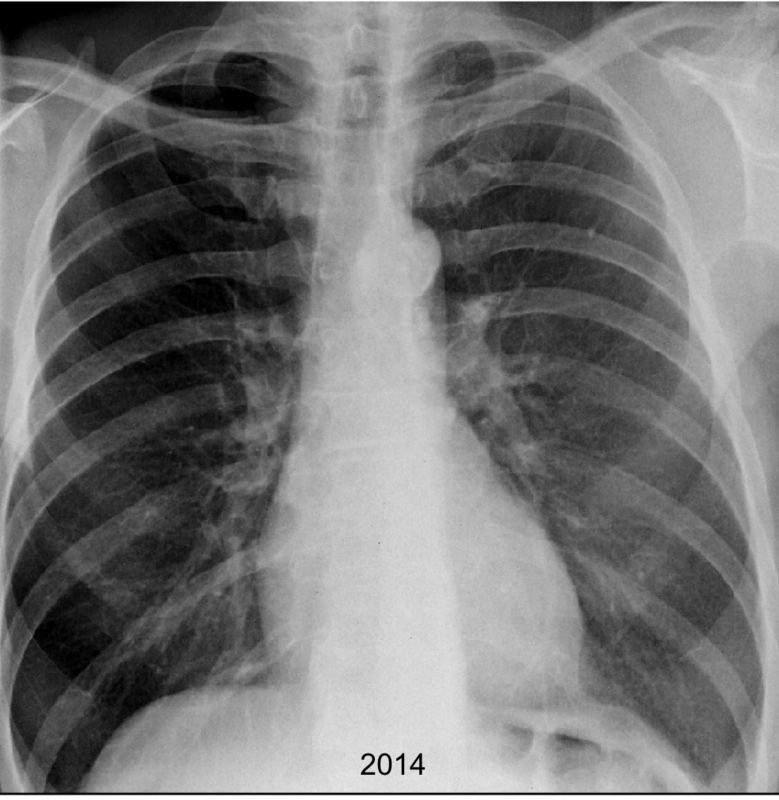 Today I am showing radiographs of a 40-year-old man with chest pain. More images will be shown on Wednesday. showing today enhanced CT images of the case. 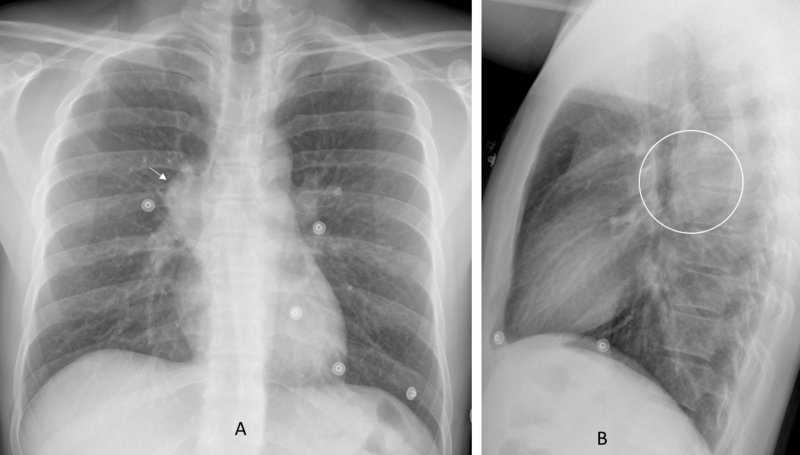 Findings: PA radiograph shows a mediastinal mass (A, arrow) superimposed to the right hilum. 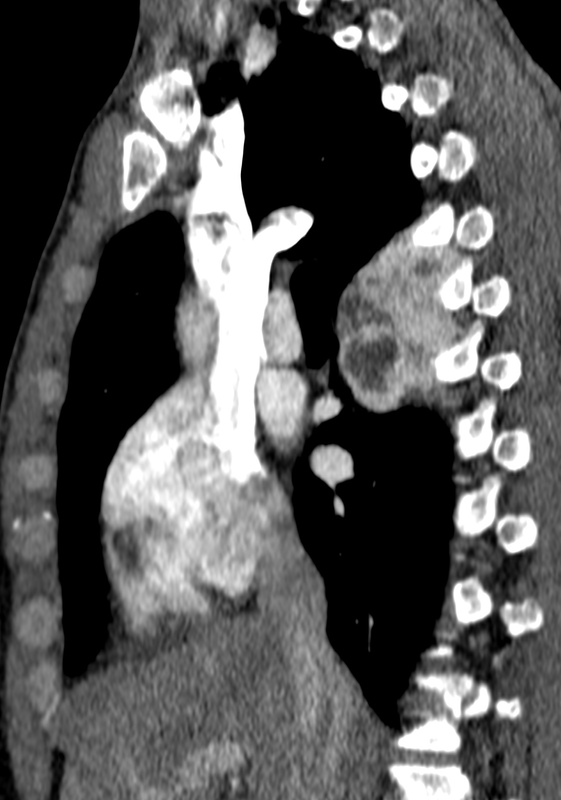 In the lateral view the mass is faintly visible behind the distal trachea (B, circle). This location excludes a right hilar mass, because the right hilum is anterior to the trachea. 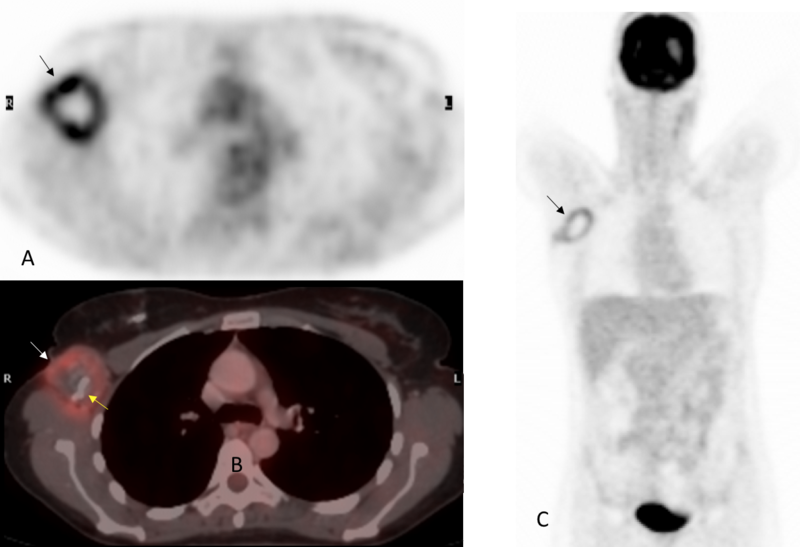 Enhanced coronal and sagittal CT confirm a posterior mediastinal mass (C-D, arrows) with necrotic areas and marked contrast enhancement. This is an important finding because it limits the differential diagnosis to four conditions: intrathoracic goiter, Castleman’s disease, paraganglioma and hemangioma. Some of you have mentioned extramedullary hematopoiesis. In my (limited) experience I don’t recall seeing avid contrast enhancement in it. I have asked some friends and searched the web without finding a clear answer. If any of you have better information I am willing to be corrected. 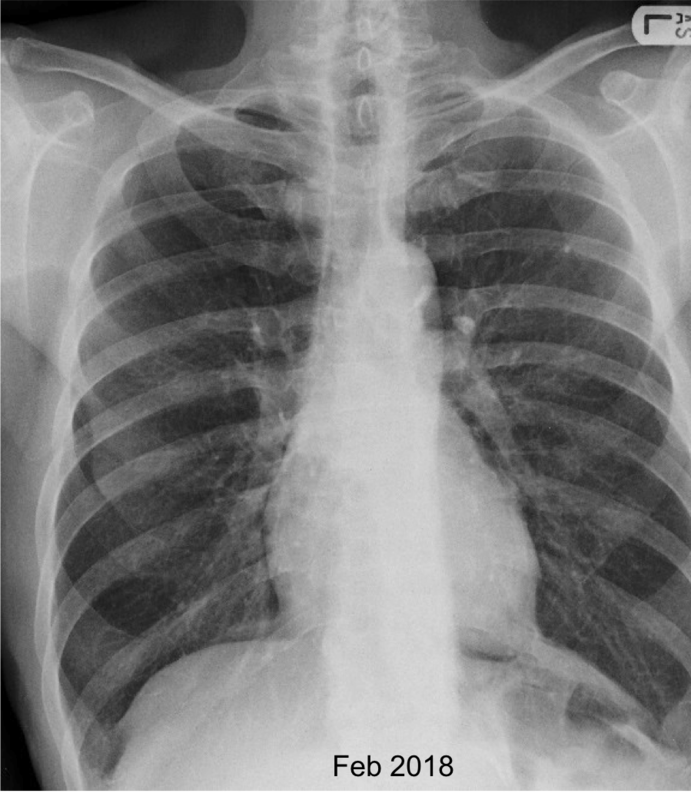 At any rate, this patient does not have any bone abnormalities, which makes the diagnosis of extrapulmonary hematopoiesis very unlikely. Final diagnosis: posterior mediastinal paraganglioma surgically proved. A similar case was presented in case 168 of Caceres’ corner. Congratulations to MK, who was the first to suggest the correct diagnosis. 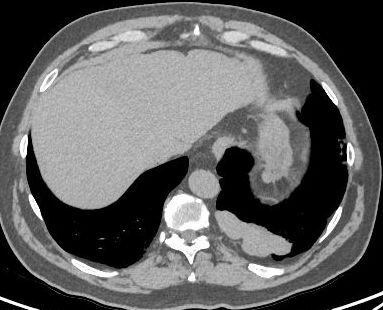 Teaching point: remember the four mediastinal processes with avid contrast enhancement: intrathoracic goiter (frequent), Castleman´s disease and paraganglioma (uncommon) and hemangioma (never saw a case). 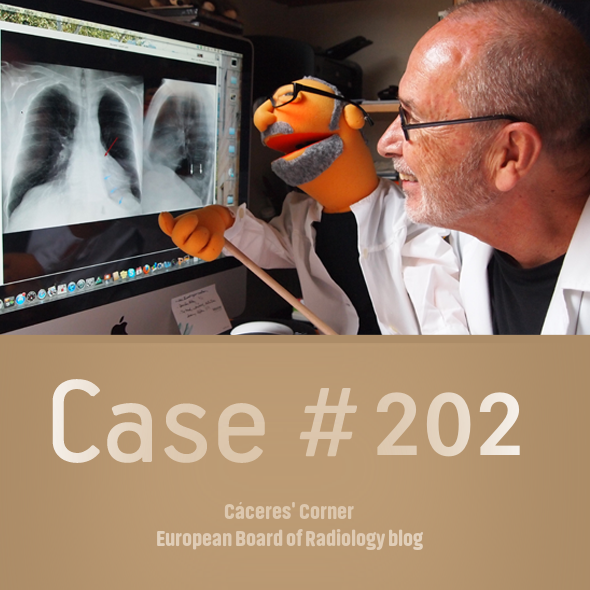 Cáceres’ Corner Case 202 – SOLVED! 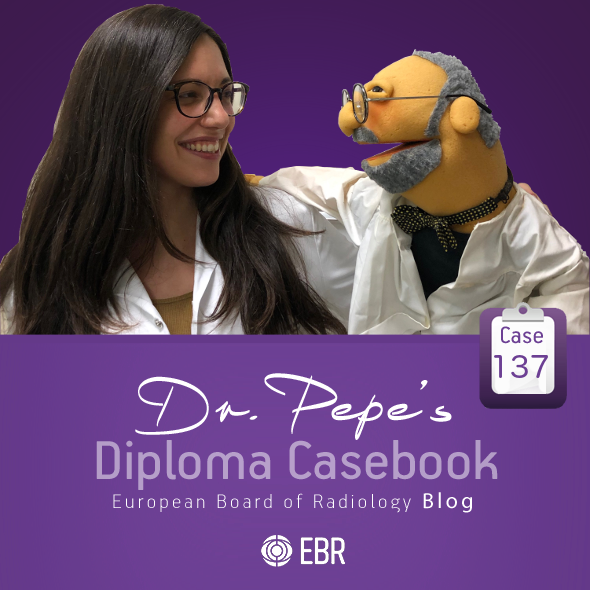 Dr. Pepe is busy preparing next week’s webinar (click here to register!) and asked me to present a case this week. The case is provided by my friend Jordi Andreu. Radiograph belong to a 83-year-old woman with dementia. A mass was detected in the right lung and a CT was done. 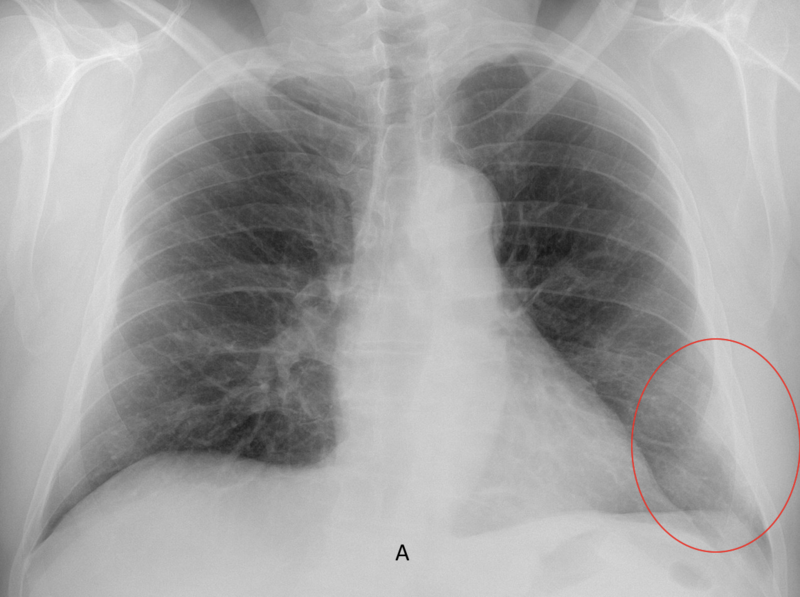 Findings: AP chest radiograph shows a well-defined opacity in the right upper hemithorax (A, arrow) which appears to be extrapulmonary. There are calcified granulomas in the left apex with retraction of the left hilum. Unenhanced axial and coronal CT show an extrapulmonary mass with a calcified rim (B-C, arrows). The mass has a striated appearance, alternating lineal areas of different opacities. 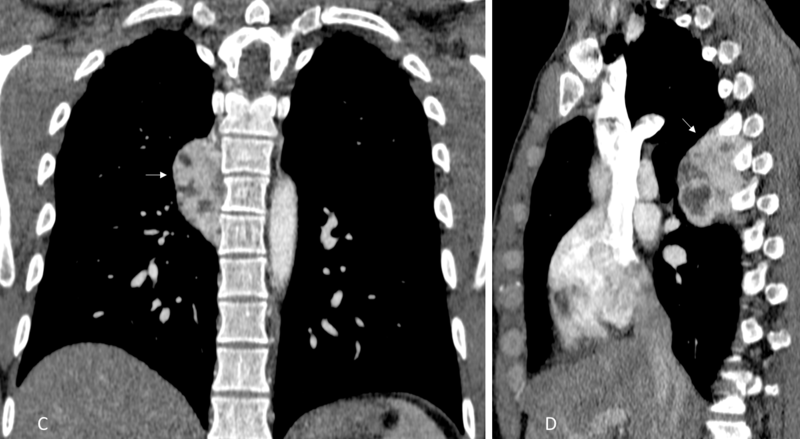 This CT appearance is practically pathognomonic of oleothorax (see case 19 of Caceres’ corner). Instillation of oil in the extrapleural space (oleothorax, plombage) was used to collapse the lungs facilitating healing of TB cavities. It was abandoned in the early fifties after the discovery of effective antimicrobial therapy. 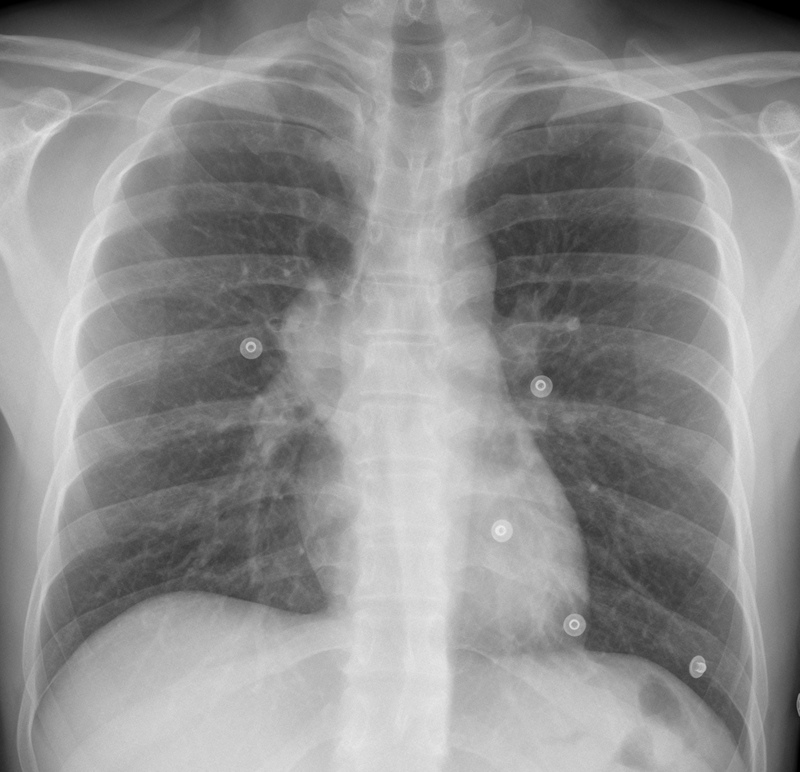 The patient had pulmonary TB in her youth and told us that it was treated by instillation of a substance. 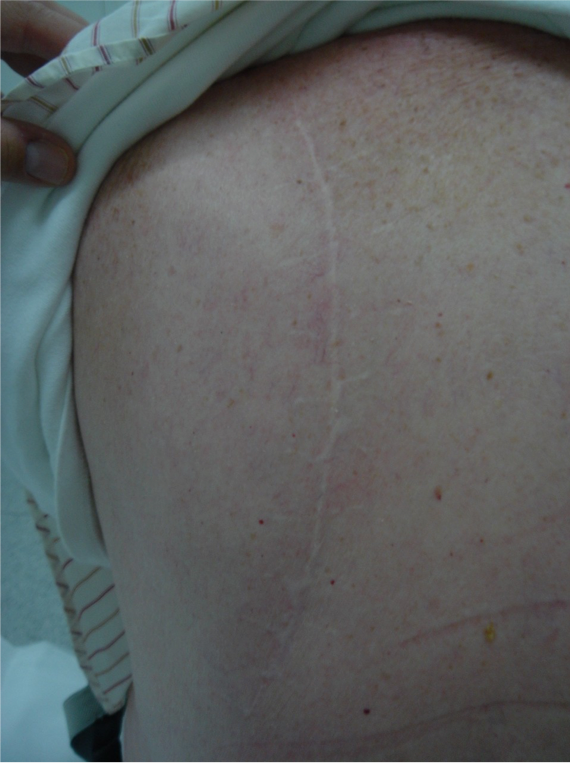 A clinical photograph in another patient (D) documents the surgical scar. Congratulations to Diogo, who was the first to make the diagnosis and to Jake, who concurred two days later. Teaching point: this is an uncommon pathology, but it should be known because the appearance is pathognomonic and shouldn´t be confused with other conditions. This patient was seen four weeks ago and diagnosed initially of pleural tumour. 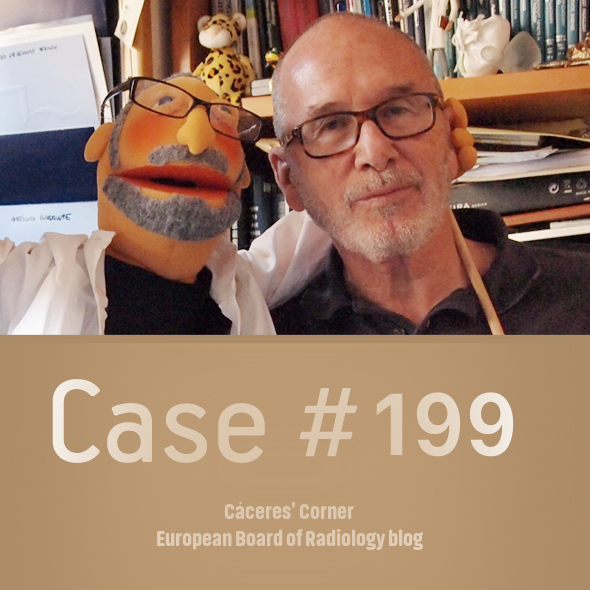 Cáceres’ Corner Case 200 – SOLVED! the first case of Caceres’ corner was published in September 23, 2011. 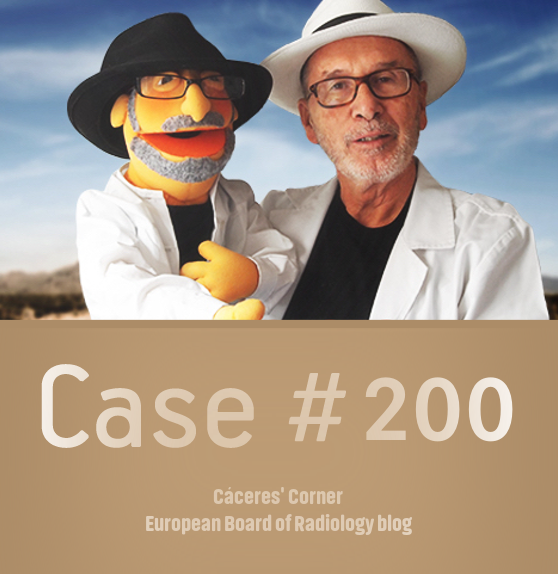 Today, seven years later, we are proud to present case 200. It was not always easy, but it was always fun and worth it. Thank you for your continuous support. Today’s case was diagnosed by my friend and co-worker Carles Vilá. The PA radiograph was taken as a pre-op exam for renal stones. Do you see any abnormality? 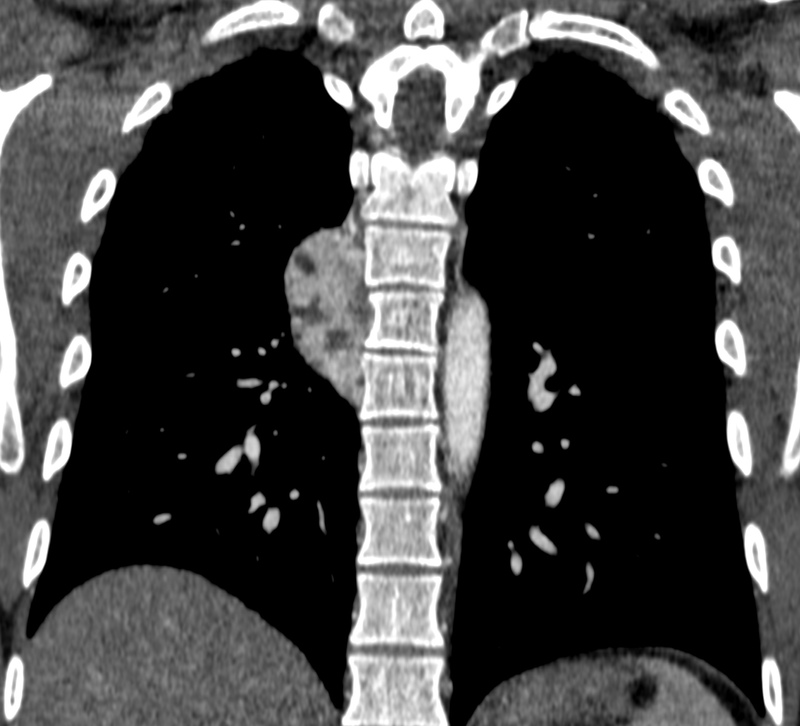 we saw a peripheral opacity in the lower left hemithorax and performed a CT, which showed unexpected findings. 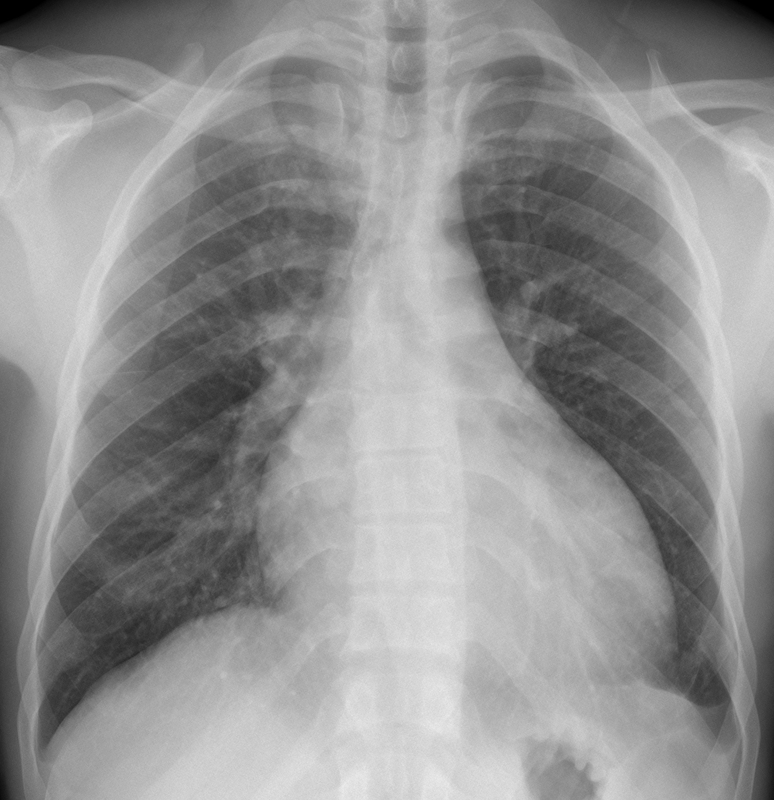 Findings: PA radiograph shows a faint opacity in the periphery of the left lower hemithorax (A, circle). A CT was recommended. 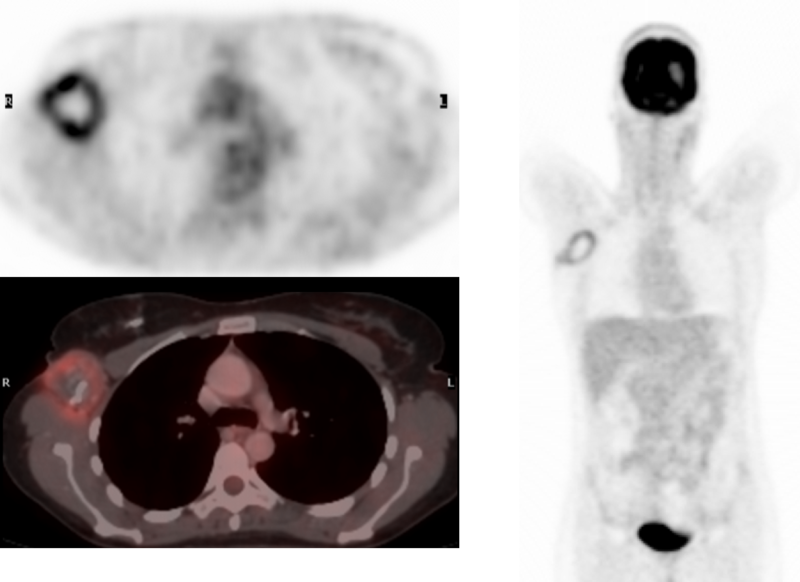 Axial CT shows an unexpected irregular basal opacity (B, arrow). Caudal slices show several parietal nodules (C-D, arrows). Coronal CT shows the large basal opacity (D, arrow), as well as the small parietal nodules (D-E, red arrows). The clue to the diagnosis lies in a negative finding: absent spleen in the left upper quadrant of the abdomen (D-E, asterisks), suggesting that the chest opacities may represent accessory spleens. The patient was interrogated and stated a previous car accident with ruptured spleen and subsequent splenectomy. A test with labelled erythrocytes in another institution confirmed the accessory spleens. As I am writing this (12:00 PM Thursday), nobody has suggested the right diagnosis. I was expecting many correct answers, since I showed a similar case eight weeks ago (Diploma case 135). Teaching point: remember the importance of negative findings (Diploma cases 135 and 136). In this particular patient, they were crucial to suggest the correct diagnosis. Congratulations to MK, who made a last-minute diagnosis at 2:08 P.M. on Thursday! since we have the European Congress of Radiology this week, I don’t want to stress you unnecessarily. 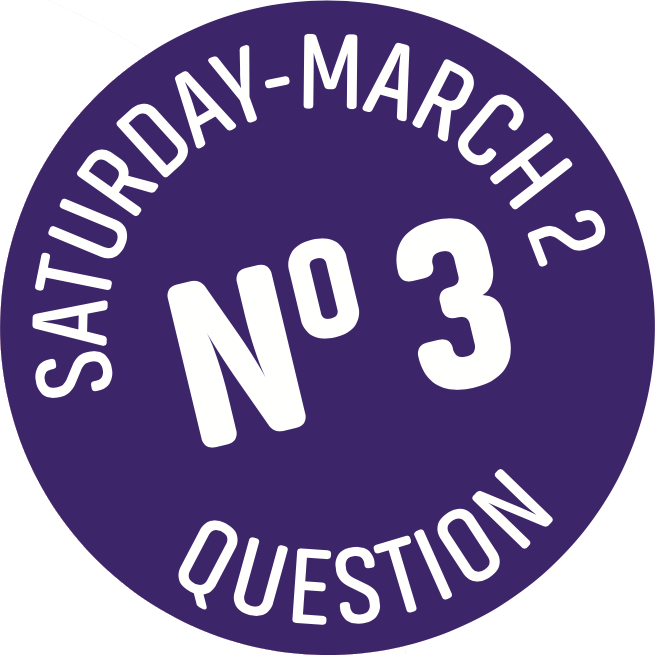 I have selected a “Meet the Examiner” presentation, with questions and answers similar to a real examination. You will get the final answer at the end of the presentation. Take your time before seeking the answer. And no peeking! This case was provided by my friend and co-worker Dr. Lucía Hernandez. 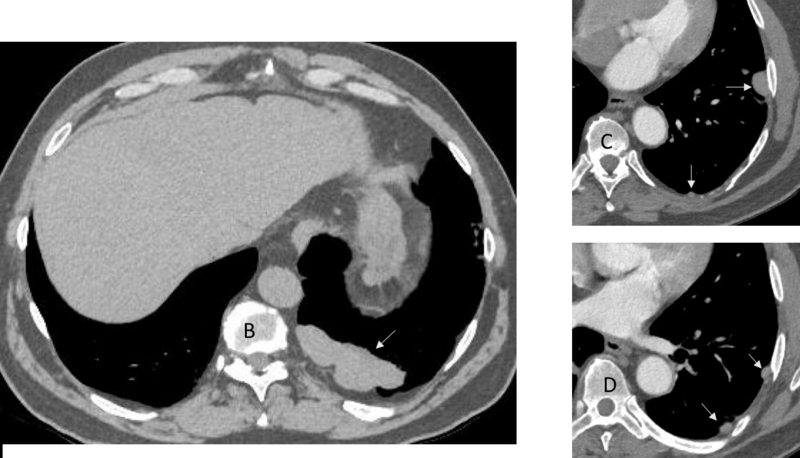 The patient is a 39-year-old woman who had a tumorectomy for carcinoma of the right breast in March 2008. In February 2009 she noticed a lump in her right axilla. 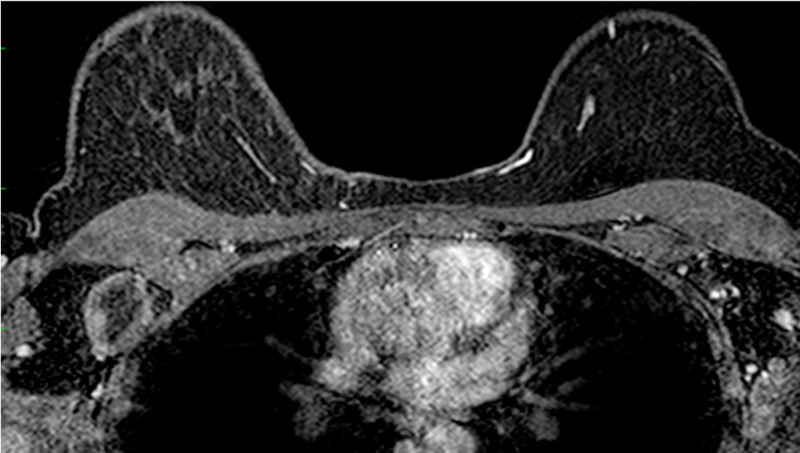 Breast MRI was performed. 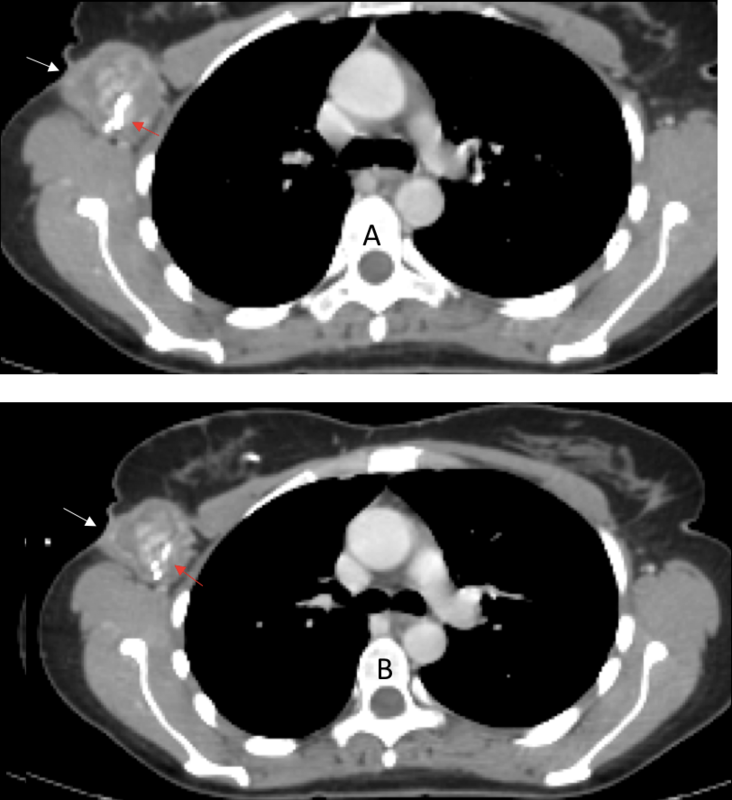 Findings: The MRI finding was interpreted as an enlarged lymph node in the right axillary area, around 35 mm in diameter and with a necrotic center (A and B, arrows). Ultrasound exam demonstrated a longitudinal echogenic band of about 40 mm in length, suggestive of postsurgical changes. No adenopathy was found. Fine-needle biopsy returned nonspecific findings, no signs of malignancy. In view of these results, no action was taken. The patient returned yearly for follow-up MRI and US studies, which showed no significant changes from the initial examination. Ten years later, in January 2019, the patient detected a discrete ulceration in the right axilla and consulted her doctor. A new MRI examination was done. 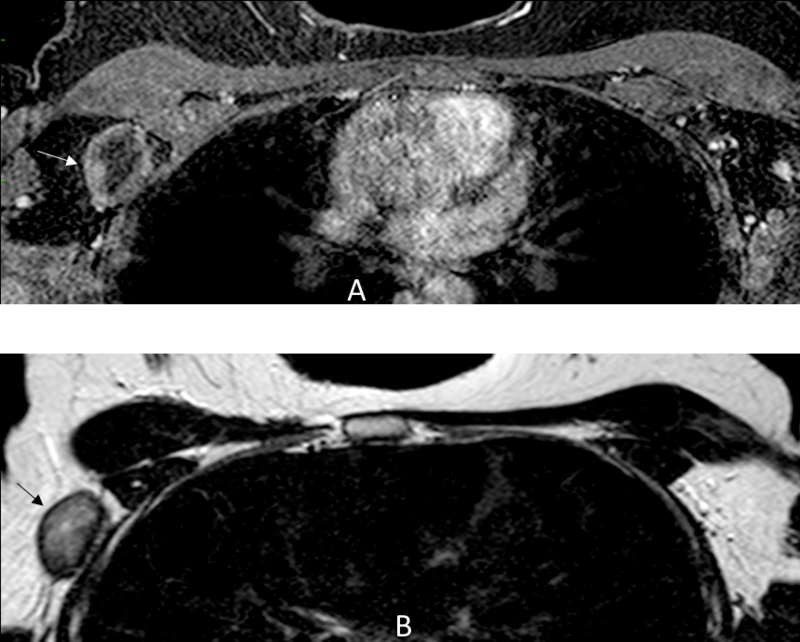 MRI showed a slight increase in the size of the lesion from 35 mm maximum diameter in 2009 (A, arrow) to 40 mm in 2019 (B, arrow). US showed no changes in comparison with previous studies. PET-CT study was ordered. 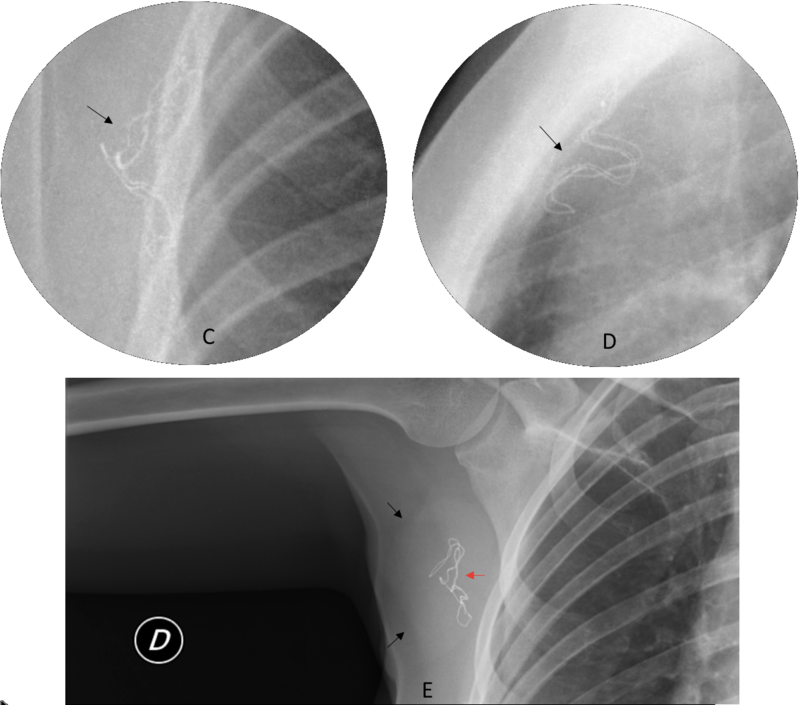 The study was interpreted as a rounded axillary image with low peripheral uptake (SUV 4) (A-C, arrows). The high-density linear opacity in the center was overlooked (B, yellow arrow). At this stage of the game, all imaging studies were reviewed, including the chest radiographs. 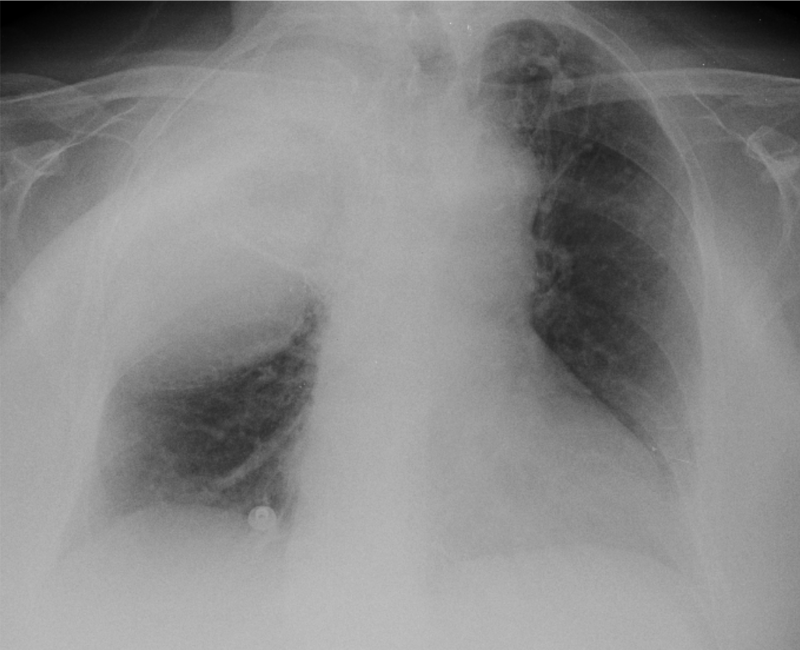 Below are postoperative chest radiographs taken in March 2009. What do you see? 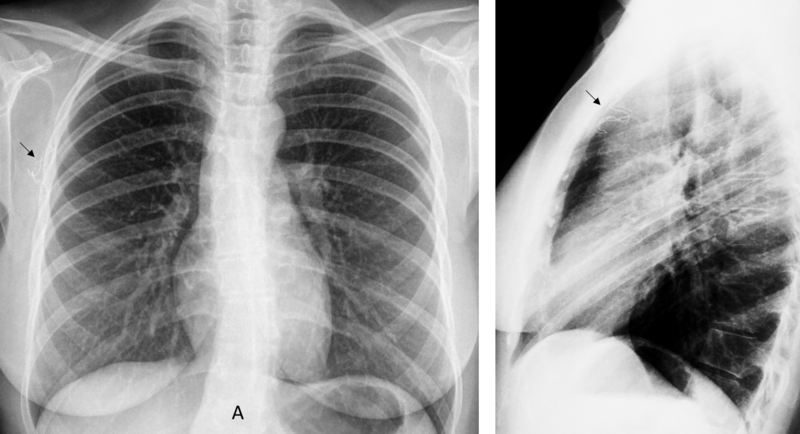 Chest radiographs show a radio-opaque marker in the right axilla (A and B, arrows). The appearance is typical of a retained surgical gauze. The findings are better seen in the cone down views (C and D, arrows). 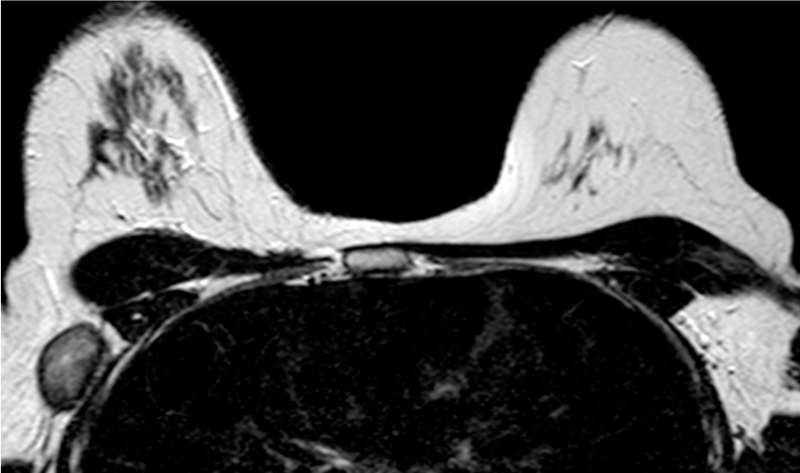 A cone down view of the axilla with the arm outstretched taken in 2019 clearly shows the axillary mass (E, black arrows) and the radio-opaque marked gauze within (E, red arrow). 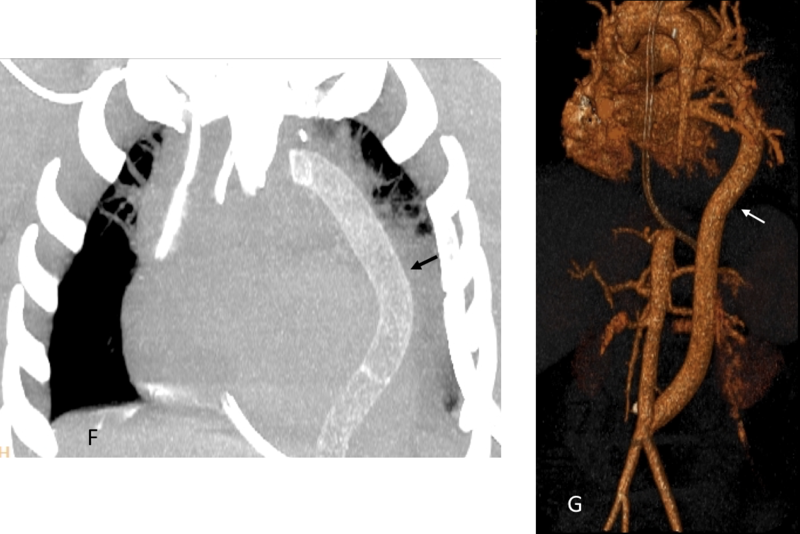 Enhanced axial CT also shows the typical appearance of encapsulated surgical gauze (A and B, white arrows), with the radio-opaque marker inside (A and B, red arrows). Confirmed at surgery. Retained surgical gauzes are occasionally seen in abdominal surgery, but are less common in the chest. I have encountered only one other case (See Fig. 1, below). Nonetheless, they are easily identified by their radio-opaque markers. Early detection of this material avoids unnecessary examinations and prevents future complications, as occurred in the patient presented. As a chest radiologist, it makes me proud that proper reading of a chest radiograph achieved a diagnosis that prompted 2 biopsies, 9 MRI, 9 sonographies, and 1 PET-CT over 10 years. It is interesting to note that a normal gauze count does not exclude the possibility of a retained gauze. In one series, the count was reported as correct in 22 of 29 patients (76%) with retained gauzes in the abdomen (Kaiser CW, Friedman S, Spurling KP, Slowick T, Kaiser HA. The retained surgical sponge. Ann Surg 1996;224:79–84). Fig. 1. 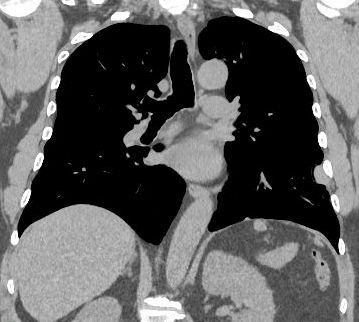 58-year-old man with fever after cardiac surgery. PA radiograph was unremarkable. 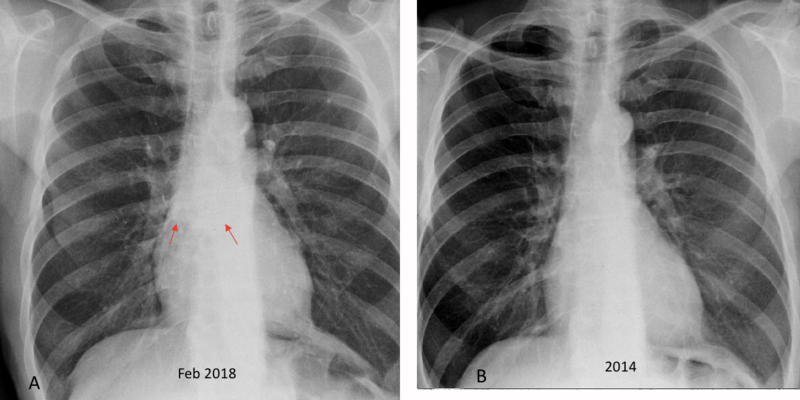 Lateral view shows a radio-opaque marker in the posterior heart shadow (A, arrow), better depicted in the cone down view (B, arrow), with the typical appearance of a retained gauze. CT confirms the presence of the gauze in the pericardial cavity (C, arrow). Proved at surgery. 1. Retained surgical gauzes are easily identified by their radio-opaque markers. 2. Early discovery prevents complications and unnecessary examinations. 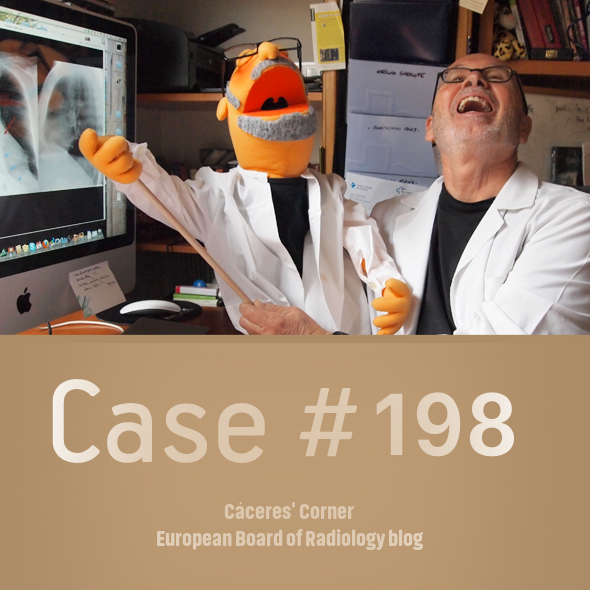 Cáceres Corner Case 199 – SOLVED! Today´s case is provided by my good friend Alberto Villanueva. 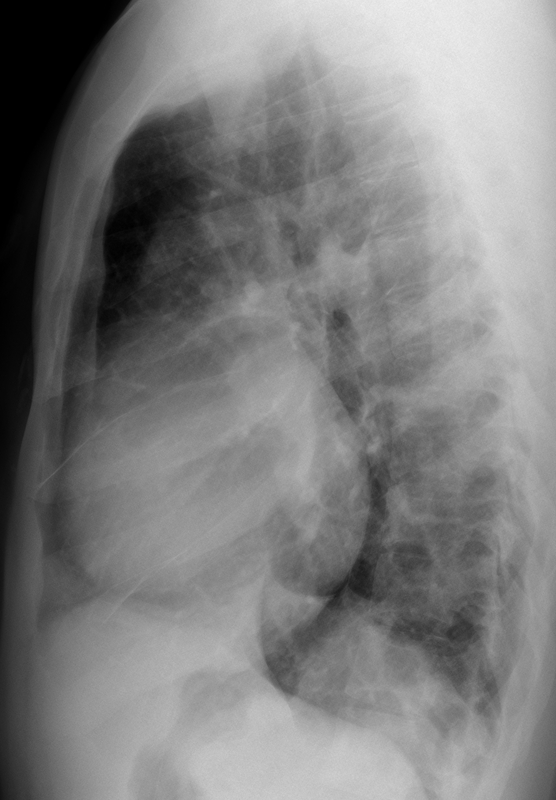 PA radiograph belong to a 58-year-old man with cough and weight loss. Gastrectomy for stomach cancer in 2006. A previous film is shown for comparison. 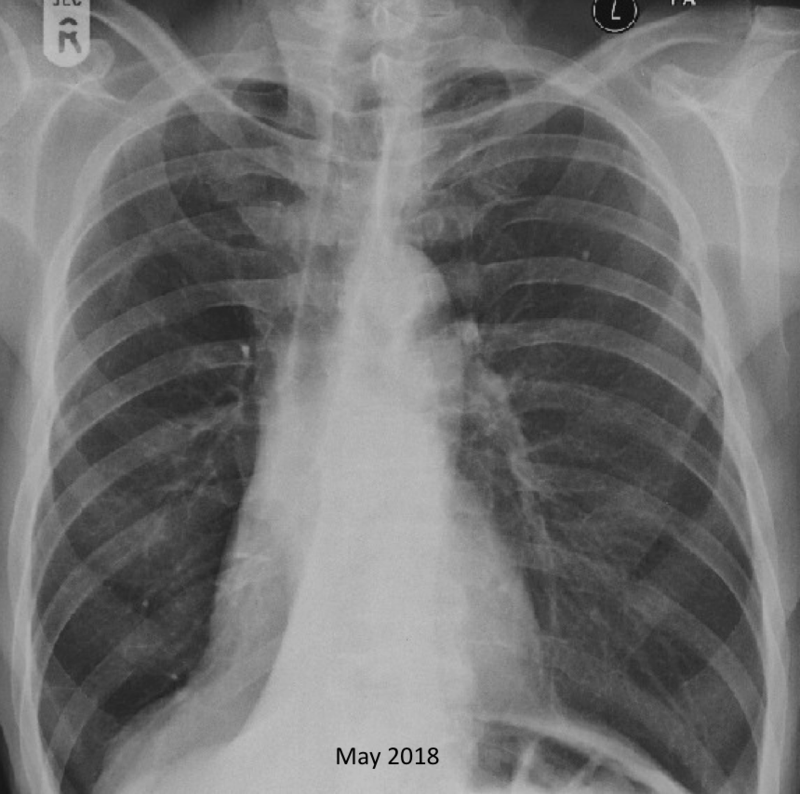 showing a PA chest radiograph taken three months later. Findings: PA radiograph taken in February 2018 shows an area of increased opacity in the subcarinal region (A, red arrows), more evident when compared with a previous film of 2014 (B). This finding was not detected. 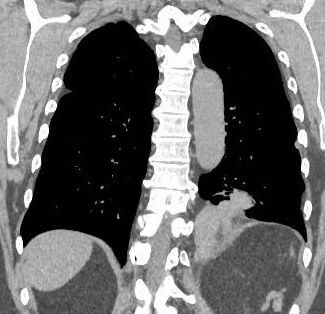 Three months later the patient returned with increasing dyspnea. 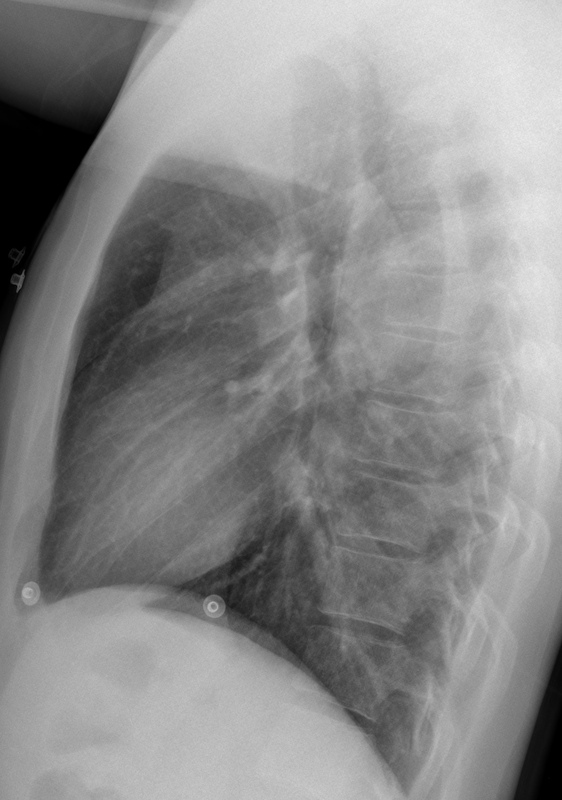 PA chest radiograph shows the typical appearance of RLL collapse, evidenced by a basal triangular shadow (C, arrow), downward hilar displacement (C, yellow arrow) and tracheal displacement. The subcarinal mass is now more evident (C, red arrow). Enhanced coronal CT shows the central mass (D, red arrows) as well as the RLL collapse (D, arrow). Teaching point: most of you detected the subcarinal mass that was missed in the original reading. This case emphasizes the importance of comparing with previous films to detect subtle findings. Cáceres Corner Case 198 – SOLVED! Today I’m presenting chest radiographs of a 28-year-old man with severe headache and high blood pressure (201/110 mmHg). Pulses were weaker in the lower extremities. 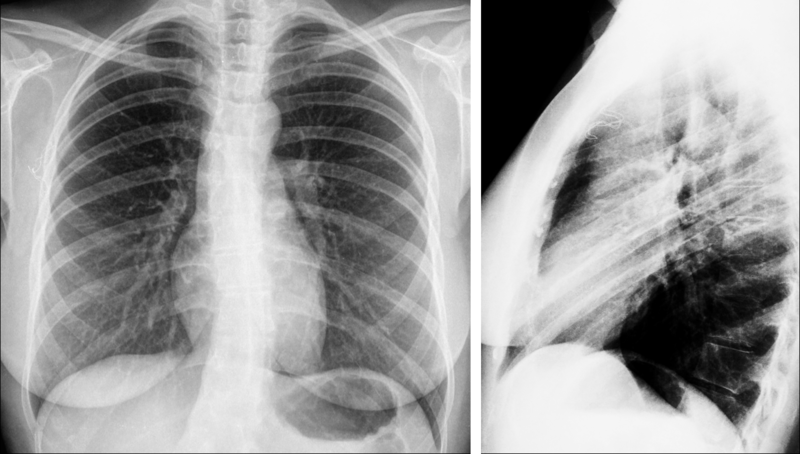 Findings: Chest radiographs show a moderate cardiomegaly. 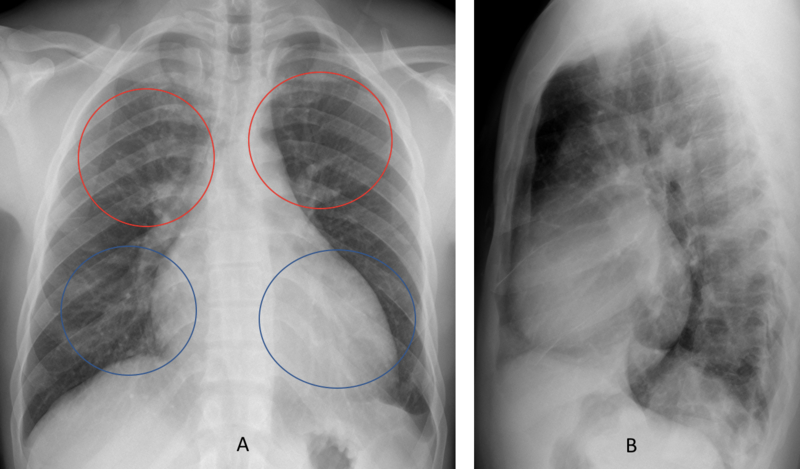 There is pulmonary vascular redistribution, with the upper vessels (A, red circles) larger that the lower ones (A, blue circles), indicating an early stage of left cardiac failure. The information of weak pulses in the lower extremities is important. 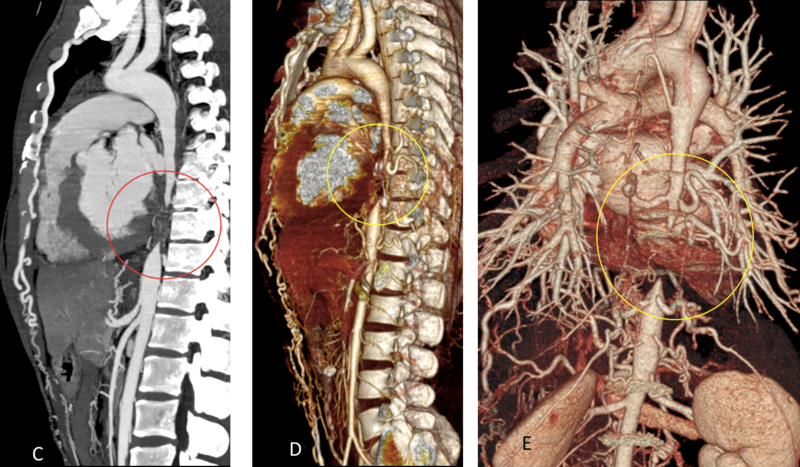 This finding suggests impeded blood flow in the thoracic aorta, the most common cause being aortic coarctation. The small aortic knob and the lack of rib notching go against it, though. 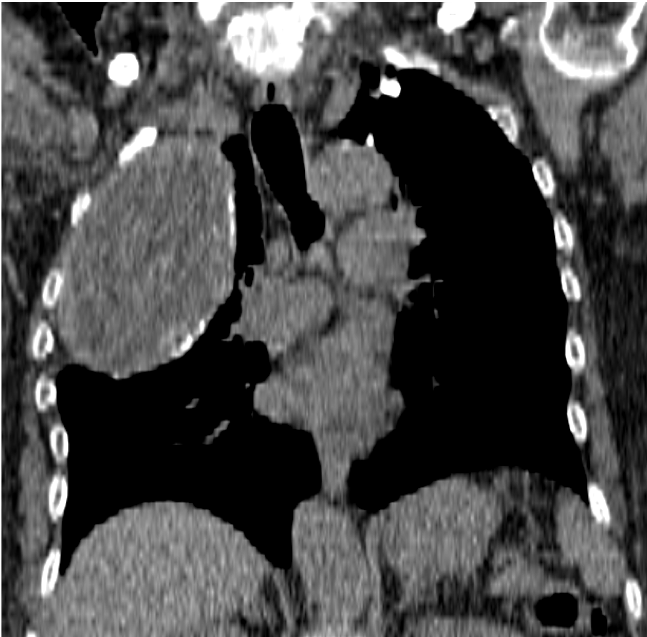 CT angiogram shows narrowing and complete interruption of the distal thoracic aorta (C-E, circles), with abundant collateral circulation. The mid-aortic syndrome usually happens in children and young adults. The etiologies vary. In this particular case, biopsy confirmed Takayasu arteritis. 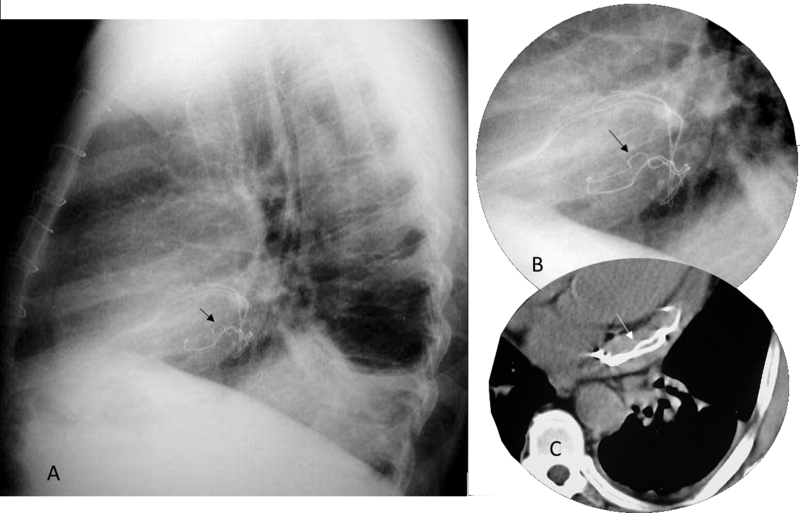 An aortic graft was placed to circumvent the obstruction (F-G, arrows). 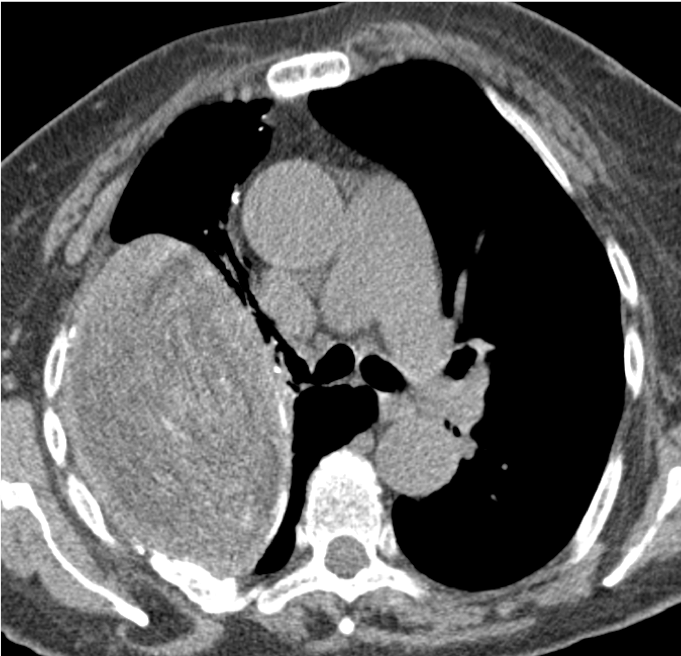 Congratulations to Ner, who made the correct diagnosis and to Krister A who was the first to suggest aortic obstruction. Teaching point: in a young person with severe hypertension, distal pulses should be checked. If weak, aortic coarctation should be suspected. If the telltale signs of coarctation are missing, mid-aortic syndrome should be considered.